Over the past two weeks we have been gathering your suggestions for new content to add to Great Kourend. We've seen a lot of excellent suggestions come in and have incorporated many of the community's ideas into the content within this blog. This Friday we will be polling the content in this developer blog. Let us know what you think! Underneath Zeah lies a vast set of catacombs. Distorted by the dark altar and overrun by all kinds of creatures, these catacombs hold a secret. The Catacombs of Kourend is a new area found underneath the city of Great Kourend. 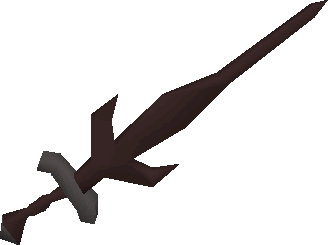 Filled with existing slayer monsters, new variations of slayer monsters and a demi-boss locked deep within, the Catacombs of Kourend are bound to be appealing for any PvMer. The entire dungeon is multicombat but no cannons are allowed. Bones buried within the catacombs restore prayer points by a small amount. This also applies to bones consumed by the bonecrusher. Higher level versions of existing slayer creatures (Bloodvelds, Banshees, brutal dragons). Creatures within the catacombs have a chance of dropping pieces of a dark totem. Once complete, the dark totem can be used to take on a demi-boss found deep within the catacombs. This demi-boss is guaranteed to drop a hard clue scroll (with a chance of an elite) in addition to consistently valuable loot. The Catacombs of Kourend will also be home to many other creatures. Those listed above are just a few mentions. Demons within the Catacombs of Kourend have a chance of dropping archaic shards. When 3 archaic shards are used with a Darklight, the sword becomes enchanted and is converted into the Arclight. The Arclight is a weapon which is incredibly effective against demons. Providing accuracy and damage slightly greater than that of the abyssal tentacle along with the same attack speed when used against demons, the weapon is a must-have for regular demon slayers. The Arclight requires level 75 Attack to equip. Over time the Arclight will lose its enchantment and will need to be recharged with additional archaic shards. Question: The Catacombs of Kourend are a series of tunnels found underneath Zeah filled with monsters and a demi-boss. Should the Catacombs of Kourend be added to Zeah? Question: The Arclight is a weapon created from the Darklight and a new item, archaic shards. The Arclight provides damage and accuracy greater than the abyssal tentacle when used against demons. 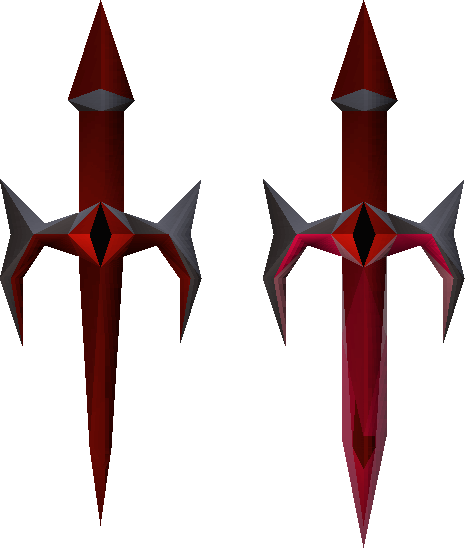 If the Catacombs of Kourend pass, should the Arclight be introduced through drops from demons in the catacombs? Underneath Great Kourend the dwarves of Lovakengj have built an intricate system of mine cart tracks which reach almost every part of the city. You would be able to unlock access to these tracks which can be used to navigate the city for a small fee. Traveling using the mine cart tracks provides a quick way to get to different areas of Great Kourend. Question: Should an underground mine cart system be added to Great Kourend which would allow quicker travel around the city for a small fee? The Woodcutting guild would be found in the Hosidius area and would require 60 Woodcutting in order to gain entry. Found within the guild would be many high level trees, including the brand new redwood tree. When inside the Woodcutting guild you receive an invisible +7 boost to your Woodcutting level, improving your chances of getting logs but not allowing you to cut higher level trees. Redwood trees would require level 90 Woodcutting to cut. Their logs would be used to make pyre ships, burn shade corpses and train Firemaking. When lit, redwood logs would provide 350 Firemaking experience. Redwood trees would also be included in areas added in the future expansion of Zeah if they pass. 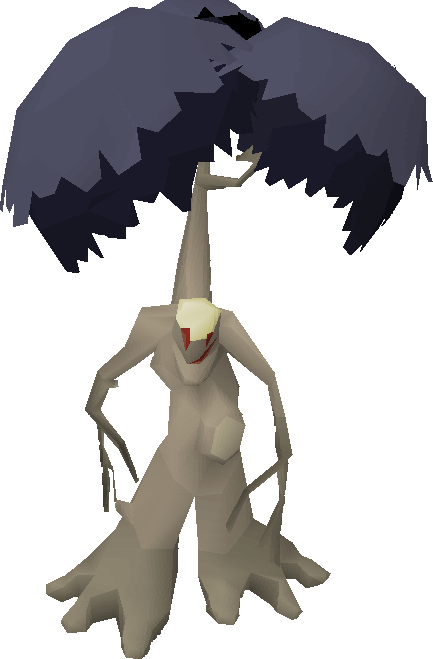 Ents would be found wandering in an enclosure found underneath the Woodcutting guild. Ents are lucrative creatures as they can be cut for noted logs once they have been killed. They currently only exist within the wilderness. Question: Should the Woodcutting guild be added to the Hosidius area in Great Kourend? The guild would require level 60 Woodcutting to enter and will contain various high-level trees. Question: If the Woodcutting guild passes, should Redwood trees be found inside the guild? Redwood trees would require level 90 Woodcutting to chop. The logs would be used for making pyre ships, burning shade corpses and Firemaking. Question: If the Woodcutting guild passes, should Ents be placed in an enclosure under the guild? The Hosidius fruit stalls would be a new, low level Thieving target. Thieving from a fruit stall would require level 25 Thieving and would provide a chance of receiving various sorts of fruit. The two note-worthy pieces of fruit included are the papaya and golovanova fruit. They would be rare rewards but would provide enough incentive for lower levels to train at the stalls. The golovanova fruit can be used in cooking with various herbs to create a botanical pie. One slice of botanical pie temporarily boosts Herblore by 4. 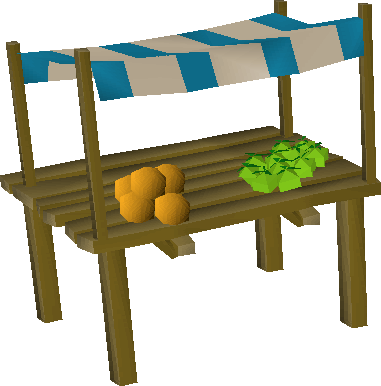 Question: Should fruit stalls be introduced as a low level Thieving target in Great Kourend? Successful thieves would receive various types of fruit, including a rare chance of receiving papayas and golovanova fruit. The golovanova fruit would be used to create botanical pie, which provides a Herblore boost of 4 levels. Question: Should the soul bearer, an item used to transport ensouled heads to the bank, be introduced via a miniquest? The soul bearer would be charged using soul and blood runes, with one charge being used for every ensouled head sent to the bank. Question: Should dynamite be purchasable from a shop in the Lovakengj area? Question: Should sand crabs, a low level creature comparable to rock crabs, be added to the coast in the south of the Hosidius area in Great Kourend? Question: Should a player-owned house portal be added to Great Kourend? The portal would be located in the southern side of the Hosidius area. Question: Should iron men be able to purchase scrolls of redirection from Dominic Onion using Nightmare Zone points? Question: Should it be possible to purchase RuneFest tickets, accommodation and transport using Old School bonds? Question: Should we allow Old School bonds to be redeemed for a display name change? "The entire dungeon is multicombat but no cannons are allowed." This seems like an odd choice, the people who don't cannon at the moment aren't going to bother moving from Nieve's due to easy access I would think? No cannon allowed is kinda disappointing for those wanting to slay efficiently without having to crash people. ^ No, please. Scammers will change their RSN more often, aka more work for me to do #RSjustice. redwood hype Achieved 2277 total on August 5th 2014.